Hide this Project (Sarvam Heights) Discover properties in other projects by hiding the ones that doesn't interest you. You won't see them in your searches further but you can unhide anytime later. Hide this Dealer (Tapas Kumar Banerjee) Discover properties by other dealers by hiding those whom you have already spoken to. You won't see them in your searches further but you can unhide anytime later. Hide this Dealer (Sachin Kadam) Discover properties by other dealers by hiding those whom you have already spoken to. You won't see them in your searches further but you can unhide anytime later. Hide this Dealer (Ashutosh) Discover properties by other dealers by hiding those whom you have already spoken to. You won't see them in your searches further but you can unhide anytime later. Sarvam Heights is a residential development of Sarvam Group. 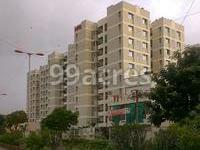 Located in Vadodara, it is built across a wide area. These luxurious 2BHK apartments makes it a dream home to everyone. These apartments are beautifully crafted with basic amenities. Where is Sarvam Heights located? Manjalpur, a prime residential locality for house seekers in Vadodara. What apartment sizes are available in Sarvam Heights? The project offers apartments sized 1225.0 sqft. How much is area of 2bhk in Sarvam Heights? Two-room units (2BHK) in the project are available in an area of 1225.0 sqft. What is price of 2 bhk in Sarvam Heights? 2 BHK apartments in the project are available at a price of Rs. 3600000 to Rs. 4500000. What is the price of flats in Sarvam Heights? Average unit prices in the project stand between Rs. 3600000 and Rs. 4500000. Does Sarvam Heights have cricket pitch? The project doesn't offer a cricket pitch.